With an in-depth look at market opportunities and trends across eight market segments, the European GNSS Agency’s (GSA’s) annual GNSS Market Report serves as a key resource for navigating the fast-evolving world of satellite navigation technology and GNSS applications. The fifth edition, the 2017 GNSS Market Report, was released May 10 by Carlo des Dorides, executive director for the GSA, at the European Navigation Conference held in Lausanne Switzerland. According to the new report, the growing demand for precise location information, in combination with the ongoing evolution of GNSS technology, means that today’s GNSS market is bigger than ever. The global GNSS market is expected to grow from 5.8 billion devices in use in 2017 to an estimated 8 billion by 2020. The GNSS downstream market is expected to produce over € 70 billion in revenue annually in 2025. When the revenue created by added-value services is included, this number could more than double. The global GNSS downstream market is forecast to grow by more than 6 % annually between 2015 and 2020. Following the declaration of Galileo Initial Services in 2016, chipset and receiver manufacturers and application developers are leveraging Galileo signals, and a number of Galileo-ready devices are already on the market. By 2025, the installed base of GNSS devices in drones will reach 70 mln, more than twice the sum of other professional market segments combined. Regularly referenced by policy-makers and business leaders around the world, the GNSS Market Report serves as the go-to resource for an in-depth look at GNSS market opportunities and trends across an array of essential market segments. “Providing in-depth information on today’s GNSS market opportunities and a data-driven forecast of its evolution through to 2025, this edition is a must-read for anyone looking to successfully navigate this promising market,” des Dorides said. The GNSS Market Report takes a comprehensive look at the global GNSS market, providing a thorough analysis per market segment (Location-Based Services, Road Transportation, Aviation, Maritime, Rail, Agriculture, Surveying and Timing & Synchronisation), region and application type, including information on shipments, revenues and installed device base. An expanded section on macro-trends like the Internet of Things (IoT), Smart Cities and Big Data. 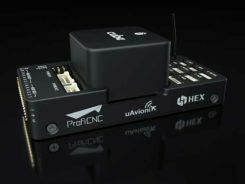 Segment-specific user perspectives, with an emphasis on the increasingly stringent demands of today’s GNSS users. The unique added-value that European GNSS (EGNOS and Galileo) brings to each segment and how Galileo is already enhancing the functioning of many applications. A special feature on the important role that GNSS plays in the growing market of drones (i.e., UAVs/Remotely Piloted Aircraft Systems). The full 100-page report is available for download free of charge. The GSA GNSS Market Report is compiled by the GSA and the European Commission and was produced using the GSA’s systematic Marketing Monitoring and Forecasting Process. 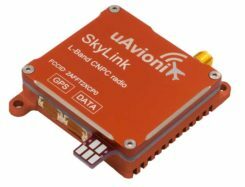 The underlying market model uses advanced forecasting techniques applied to a wide range of input data, assumptions, and scenarios to forecast the size of the GNSS market in terms of shipments, revenue, and installed base of receivers. Historical values are anchored to actual data in order to ensure a high level of accuracy. Assumptions are confronted with expert opinions in each market segment and application and model results are cross-checked against the most recent market research reports from independent sources before being validated through an iterative consultation process involving pertinent sector experts and stakeholders.